Outdoor photography is one of the most interesting things artists do engage with. Sunrise images are one of the most popular subjects of fine art outdoor photos. These images do feature the magnificent and astounding beauty of Mother Nature as the rays of the sun starts to appear on the horizon. Images of the sunrise do evoke a lot of memories, feelings and influence our mind significantly. Seeing a sunrise makes us feel more relaxed and calm. It is always a nice way to set the mood right before a day starts. It is always an enjoyable and worthwhile thing to do to include fine art images into a home or office interior design. This photo was taken right off the beautiful Crater Lake. This is one of the most popular because of it beauty and splendor. Crater Lake is a caldera lake located in the western United States, right off the south-central Oregon. It is the main feature of Crater Lake National Park and is famous for its deep blue color and crystal clear water clarity. Sunrise images are really gorgeous. However, it takes a lot of patience and dedication to capture this beauty. The “blue hour” happens shortly before the sun rises above the horizon. This is barely lasts an hour. Thus, it takes a lot of precision and attention to capture remarkable pictures as beautiful as this. It is a perfect design piece for home owners who would want to have a serene and placid mood within the bedroom or hallway. A fine art print of this scenery can absolutely provide a relaxed ambiance for an office lounge or employee nook. For a bedroom, it can be a perfect design piece on the wall. 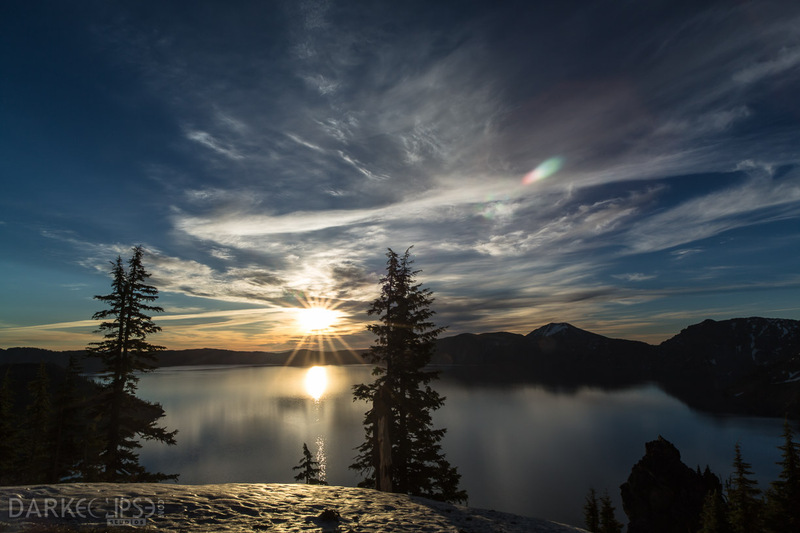 A fine art print of this beautiful sunrise over Crater Lake is a proof that photography does magic. Mother Nature is far beautiful than what the human eye can see and cameras can definitely capture it.